The following post was provided by A&D Weighing, our featured manufacturer this month. A&D offers a full product line of high quality measurement equipment, including electronic balances, digital scales, weighing indicators & controllers, load cells, & non-destructive measurement equipment. While we rely on weighing equipment to deliver critical measurements for manufacturing and lab work, their proper upkeep can sometimes be neglected. Just like all other professional equipment, balances occasionally need fine-tuning and cleaning to keep them providing accurate results. To keep equipment performing precisely over the long-term, use these best practices to maintain exacting performance. Not all balances are alike. In some models, the weigh pan can be removed for cleaning. In other cases, it’s not necessary. Check your instruction manual for cleaning specifics. Regardless of the type of weighing equipment you use, ideally it should be cleaned after every use. That’s because residue of weighing materials from liquids to powders and everything in between can impact accuracy. A camel hair or balance brush is ideal for cleaning away any dry residue. Never blow away debris, this may drive particles deeper into the scale’s delicate parts. For cleaning up after liquid weighing materials, use a thin wipe with purified water for removing any spills on the pan. Never pour or spray liquid cleaners directly on the scale to clean. A damp lint-free cloth with a mild solvent works best for cleaning up any sticky residues but be sure to wipe your scale dry afterward. Taking steps to keep a balance clean makes maintenance even easier. Using protective covers, especially in highly dusty environments keeps sensitive equipment clean while not in use. Using personal protective gear while measuring, especially in labs, prevents contamination. Also, the use of dosing accessories helps reduce residual mess on a scale. Along with cleaning, occasional checkups ensure your balance’s accuracy is on track. Several tests can help determine when its time to calibrate. Repeatability tests with a calibration test weight confirms your balance is not “off”. Choose a test weight that is on the upper range of your balance’s capacity. 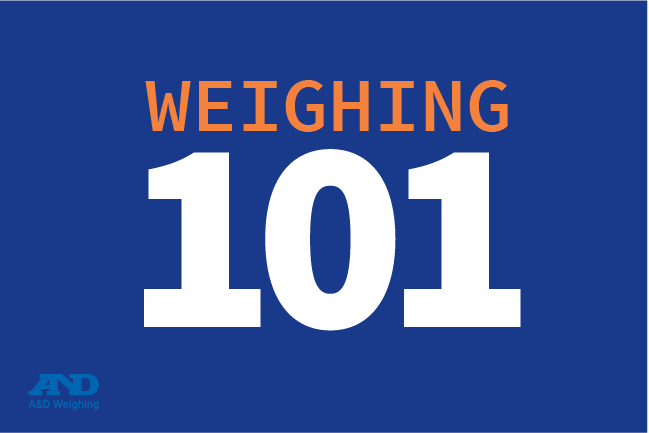 With ten repeated weighings using the same weight, you should get the same measurement within a certain margin of error. This accuracy detail should be indicated in your user’s manual. If there are discrepancies, then it’s time to calibrate. New technology, however, has made repeatability testing even easier. Electronically controlled Load (ECL) performs a self-diagnostic repeatability test of your scale without an external weight. ECL automatically calculates the standard deviation from 10 repeated measurements with an artificially generated load. Based on the result, the ECL feature also indicates the minimum weight in accordance with the United States Pharmacopeia (USP) standard. The efficient new technology allows repeatability testing to be performed in about 90 seconds, which saves valuable maintenance time and ensure that your balance is operating correctly. This helpful feature can be found on Apollo GX-A/GF-A Series balances. Certainly, when tests reveal that your accuracy is off, you must calibrate. But there are other occasions when calibration should be done. Retaining a log of all cleaning and testing sessions provides a broader perspective of the overall performance of your balance over a period of time. With this organized approach, subtle maintenance issues and calibration needs can be identified and addressed sooner and the highest level of accuracy maintained for the life of your balance. Looking for some other helpful tips to increase accuracy? View the infographic “Weighing 101” by clicking the image below for more tips & tricks from A&D weighing to help make sure your equipment is set up for success. How can the Michelli team help? Michelli Weighing & Measurement sells products ranging from high precision lab balances to heavy capacity weighing equipment. Our product specialists can help you find the right equipment based on your application, environment, applicable regulations and budget. To get in touch with a specialist or view available equipment brands in your state, choose your state on our Contact Us page. The Michelli service team is made up of expert weighing & measurement technicians who can help with everything from equipment installation to calibration & repair. We can even help you plan your space by recommending the best equipment & placement for your specific needs. With 23 locations in 10 states located throughout the Southern & Western U.S.A., a Michelli Weighing & Measurement expert is never far from you. Visit our Contact Us page to find your nearest Michelli location & get contact information.